PHILADELPHIA (CN) – Merck has known for a decade that its mumps vaccine is “far less effective” than it tells the government, and it falsified test results and sold millions of doses of “questionable efficacy,” flooding and monopolizing the market, a primary caregiver claims in a federal antitrust class action. The United States told a federal judge in April that it did not want to intervenein the False Claims case, but reserved the right to do so later. Chatom says in its antitrust complaint that Merck falsely claims its mumps vaccine is 95 percent effective. That claim “deterred and excluded competing manufacturers,” who would enter the risky and expensive vaccine market only if they believed they could craft a better product, Chatom says in its complaint. And as Merck’s vaccine is the only game in town, the vaccine’s “significantly degraded” quality means “there has remained a significant risk of a resurgence of mumps outbreaks,” Chatom says in its complaint. It claims that the degraded quality of the Merck vaccine played a role in a 2006 mumps outbreak in the Midwest, and in another outbreak in 2009. Those outbreaks caused the Centers for Disease Control to push back its target date for eradicating the disease from 2010 to no earlier than 2020, the complaint states. Merck spokesman Ron Rogers told Courthouse News in a statement that the False Claims lawsuit “is completely without merit,” and that Chatom’s lawsuit is merely derivative of that case. “Merck has presented information that demonstrated to the United States Department of Justice that these allegations are factually false, and after the Department conducted its own two-year investigation, it decided not to pursue this lawsuit,” Rogers said. Chatom seeks to represent the class of all those who bought Merck’s mumps vaccine from Jan. 1, 1999 to today. It seeks damages for monopolization under the Sherman Act, violation of state consumer protection laws, unjust enrichment and breach of warranty. Chatom is represented by Richard Golomb of Golomb & Honik, in Philadelphia. 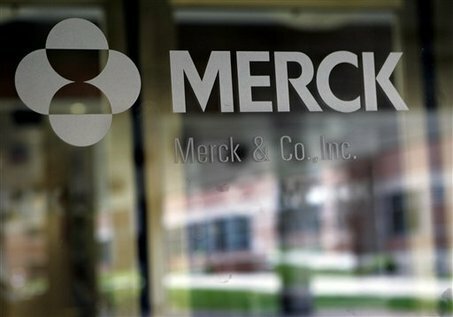 Merck–which stressed that none of these allegations relate to the safety of its product–said the lawsuit is ” completely without merit”, and that it plans to “vigorously defend itself.” The Whitehouse Station, N.J., drug maker also noted that the U.S. Department of Justice has thus far declined to participate in the case after its own two-year probe. Mumps is a contagious disease that causes symptoms like fever, headache and swollen salivary glands. 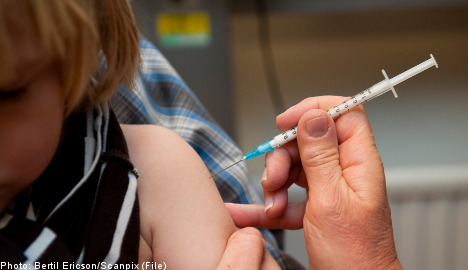 It was a common illness for kids and young adults before childhood vaccinations became common decades ago, according to the Centers for Disease Control and Prevention, although there were outbreaks in 2006 and 2009. The agency says vaccines are the best way to prevent mumps. Merck introduced the first vaccine 45 years ago, and since the 1970s it’s been part of a combination product that also immunizes children against rubella and measles. According to the lawsuit–filed by former Merck virologists Stephen Krahling and Joan Wlochowski–the company allegedly defrauded the U.S. for more than a decade by hiding the fact the vaccine had become less effective. As a result, the former employees say the government has long paid for a product that doesn’t live up to Merck’s claims. The lawsuit seeks a judgment against Merck equal to three times the damages suffered by the U.S., plus the maximum allowable award for the former employees under federal whistleblower laws. 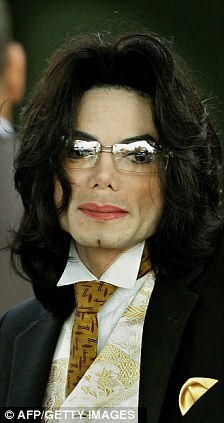 The suit was first filed in 2010 in the U.S. District Court for the Eastern District of Pennsylvania. It was unsealed Thursday after the government declined to get involved in the case. Merck confirmed Krahling and Wlochowski were former employees, but it said they haven’t worked at the company for a decade. “It’s important to understand that none of the allegations in the complaint relate to the safety of M-M-R II”–the vaccine in question–“and we remain confident that M-M-R II helps protect against measles, mumps and rubella as described in the labeling for the vaccine,” Merck said in a statement. Merck doesn’t specifically break out sales for the vaccine, but the company reported combined U.S. sales of $1.1 billion last year for that product and two other childhood vaccines. Merck shares recently traded up 1.9% to $40.19 and have risen 6.6% this year. Female patient, White, age 42. 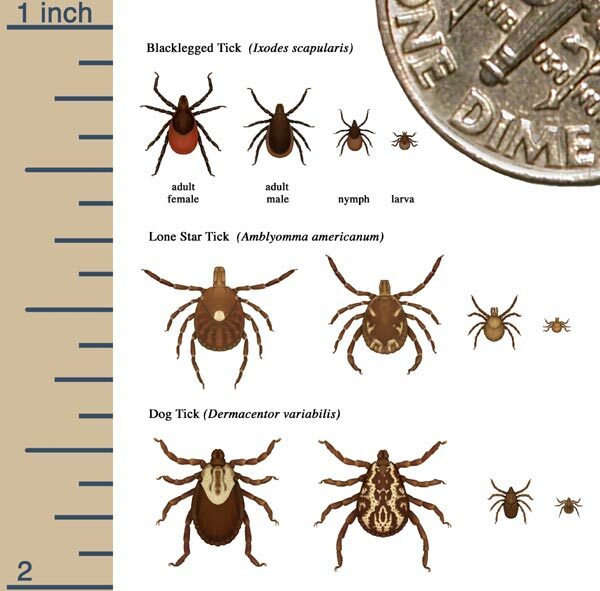 Southern State of USA presented with Lyme Disease. The patient was fairly advanced in the development of the pathology. After thorough physical examination, a detailed case taking ensued to find the appropriate homoeopathic remedy. Patient, a school teacher was normally full of energy and worked long hours and enjoyed interactive stimulation. She now was completely devoid of energy, lethargic, irritable, complained of joint pains, like having been “run over by a dump truck and the bones squeezed hard”. Patient had a rash with spots on her face and chest which looked blue. Complained of internal prickling like pins and needles in her arms and legs which she could not scratch. During our conversation, she complained that drinks did not pick her up and nothing in the food line made her feel revived or better. Some depression and sadness over the condition. Using the P & W Repertory, the patients case was evaluated. Combining this with the physical results, the patient was prescribed Phos LM 0/1 daily for 3 weeks. From the first dose, the patient began to sleep better. Over the course of a week, the skin rash/spots started to clear. The joint pains intensified for 3 days then diminished. Her irritability became less. During the follow up, as things were still improving, I continued her on the 0/1 daily. 2 months later on a follow up, blood tests were taken and everything was showing normal. I continued her on the 0/1 for another month until her weakness disappeared completely then stopped the medicine. Prescription painkillers have topped car accidents as the leading cause of accidental death in the U.S., according to a new report. Research by the National Center for Health Statistics show that drug poisoning is now a more common way to go than being killed on the road. 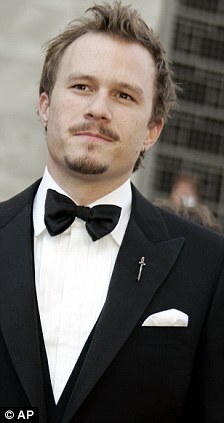 It follows recent celebrity deaths from painkillers, including Michael Jackson, Heath Ledger and Anna Nicole Smith. Prescription painkillers are now so popular in the U.S. that there has been a spike in armed robberies at pharmacies and some chemists are refusing to stock them. The number of robberies has surged by 82 per cent since 2006, from 385 to 701 last year, with 3,500 pharmacies targeted by those desperate to get their hands on the drugs, according to Digg.com. Doctors are also struggling to keep up with the demand for the pills. One third of all Americans take two or more prescription drugs, most commonly narcotics. Without painkillers, such as OxyContin and Vicodin, minor aches and pains feel considerably worse for people addicted and withdrawal symptoms include depression, anxiety, and lethargy. The gap in life expectancy between whites and blacks in America is now the smallest ever, according to researchers in Canada. White men can now expect to live to 76.2 years, and black men 70.8 years. White women can expect to live to 81.2 years and black women 77.5 years. Researchers found that HIV and heart disease contributed to the narrowing of the gap alongside an increase in the number of deaths among white people from prescription drug abuse. Researchers at Montreal’s McGill’s University used data from the US Centers for Disease Control and Prevention and other sources. They found heart disease, diabetes, homicide, HIV and infant mortality were the main reasons for the differences in life expectancy. Painkillers overtook car accidents as the leading cause of death back in 2008 but a report detailing the information has only just come out this month. It shows that the number of people dying from the pills has tripled since 1980, while the number of car accidents has dropped by one-and-a-half times since that year. 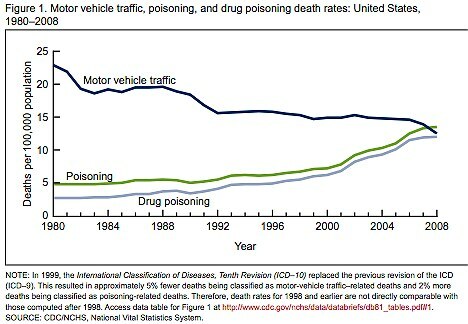 In 2008, 41,000 Americans died from drug poisoning – 77 per cent of which were not intentional – compared to 38,000 road deaths. Between 1999 and 2008, the poisoning death rate increased by 90 per cent, while the road deaths decreased by 15 per cent. Meanwhile, emergency department visits for prescription painkiller abuse or misuse have doubled in the last five years to nearly 500,000 and about 12 million American teenagers and adults use prescription painkillers to get ‘high’. Nonmedical prescription painkillers costs the U.S. economy more than $72.5billion each year. The problem with prescription painkillers is worse in the U.S. due to a lack of regulation and a thriving black market. Experts said there is a lack of education surrounding the drugs and misconceptions over their use and how they should be managed. They also say pharmaceutical industry have introduced some ‘questionable practices’ in how the drugs are marketed. Some insurers say doctors have to explain why they have prescribed certain pills that exceed a 30-day supply, according to the website, while 40 states have systems to monitor who the drugs are supplied, although many of these are voluntary. Last month, it emerged that where there has been a crackdown in prescription painkillers people are turning to heroin instead. The deadly drug is now being found in areas where previously, it hadn’t presented a problem. New York, Pennsylvania, North and South Carolina, Illinois and Missouri have all been affected by the surge in abuse according to 2011 Justice Department statistics. Modern causation for localised cancer. About 170 years ago our ancestors forced the repeal of licensing laws which had created a monopoly over the practice of medicine for orthodox physicians. Ordinary people, farmers, artisans, tradesmen and others got together and forced politicians to act on their behalf. They were tired of bloodletting, and harsh medications like mercury compounds that ruined their teeth and weakened their bodies. They opted for kinder and gentler alternatives with lower casualty rates, particularly the newly introduced homeopathy. They were impressed that tiny doses of medicine were able to cure cholera much better than the massive doses used by orthodox physicians. Homeopathy, introduced in America in 1825, was a brand new medical discipline developed by a German physician named Samuel Hanhemann (1744-1843). He was disillusioned with the results of medical practices of his day. He stopped practicing and began to study the effects of medicine on a healthy person, himself. He tried quinine, a very popular medication, first. It caused symptoms of malaria, the disease which it was able to cure. Similarly mercury produced symptoms of syphilis on which it had therapeutic effects. This experimental evidence lead to an assumption: substances which produce symptoms in healthy people can have a curative effect on sick people who experience the same symptoms. Extensive experimentation with his family and friends resulted in collection of the symptomology of 27 medications. With this information he was able to investigate the validity of his hypothesis. Returning to the practice of medicine he found that clinical experience validated his hypothesis. By this means his hypothesis became a theory in accordance with scientific methodology. Ultimately, confirmed by other investigators, it became the law of similars. Subsequently experimentation with varying doses disclosed that small amounts of medicines had more effect on the diseases of patients than large amounts. This experimental evidence led him to conclude that his medications were stimulating the inherent healing powers of his patients. They were getting well without the damaging side effects of excessive amounts of medicines. Many orthodox physicians in Germany, observing Hahnemann’s successes, sought training in the application of the new doctrines and began to practice homeopathy-generating a new school of medicine in the process. It became popular all across Europe. Homeopathic physicians began treating the royalty and nobility of Europe. Homeopathic physicians didn’t try to find the cause of diseases. They spent a lot of time identifying symptoms in consider-able detail since each patient was considered to be unique. The symptoms defined the disease. 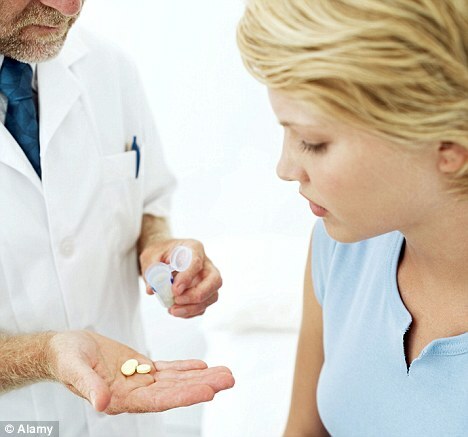 Matching the symptoms of the patient with the symptoms associated with medications was not an easy job. Intelligence, training and dedication were required to achieve the full benefits of homeopathic technology. Ultimately some homeopaths limited themselves to the use of low potency medications while the most effective practitioners used the high potency variety, those with the highest dilutions. 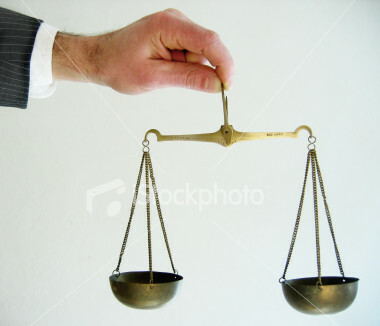 Hahnemann did not claim to have discovered the law of similars. The therapeutic systems of empiric physicians in ancient Greece and Paracelsus had included this theory. The important discovery that medicinal substances could be more active at high dilutions was his alone and he was vilified because of it. Those whose incomes depended on the sale of large quantities of drugs found it economically damaging. Orthodox physicians, whose use of excessive amounts of mercury caused their patients to lose teeth and deteriorate physically, hated it as a serious threat to their physical safety as well as their professional reputation. But many physicians trained in the orthodox tradition abandoned it and took up the practice of homeopathy with great success. Success of homeopathic treatments with camphor, copper sulfate and Veratrum album, recommended by Hahnemann during the Asiatic cholera epidemic in Europe in 1832, firmly established homeopathy in France. When Hahnemann arrived in Paris in 1835 he was granted a license to practice medicine within 6 month. He subsequently cured the Marquess of Anglesea of tic deleureux which French physicians had been trying unsuccessfully to cure for 20 years. After losing prestige and patients to the homeopaths, member of the French National Academy of Medicine called them knaves, ignoramuses, charlatans and quacks. Nevertheless orthodox physicians adopted camphor, copper sulfate and Veratrum album as remedies for cholera. American homeopaths were as successful treating cholera in the 1830s as the French homeopaths. They added to their reputation when in 1878 a yellow fever epidemic spread from New Orleans into the Mississippi Valley with alarming death rates: 4,600 of 27,000 cases in New Orleans, 5,000 out of 18,500 cases in Memphis with a total of 15,934 death out of 74,265 cases reported in the Mississippi Valley. Homeopathic physicians in New Orleans had treated 1,945 cases with loss of 110. In the rest of the south they had treated 1,969 cases with loss of 151–7.7%. The overall death rate for reported cases in the south was at least 16%. The French Government awarded a gold medal to a French homeopath for his work during the New Orleans epidemic. Homeopaths were popular! Insurance companies began offering reduced rates to persons employing homeopathic physicians and homeopathic life insurance companies were being chartered. In 1870 the Homeopathic Life Office of New York reported that it had sold 7,927 policies to followers of homeopathy and 2,258 to other; 84 deaths in the first category and 66 in the second justified the lower premiums charged to the former. As a result of these successes by 1892, homeopaths in the United Stated controlled about 110 hospitals, 145 dispensaries, 62 orphan asylums and old peoples homes, over 30 nursing homes and sanitaria and 16 insane asylums. In 1889 the Westborough, Massachusetts insane asylum was run by homeopaths and the Springfield Republican reported that the cost of maintenance is much less and recoveries and general success greater than in allopathic asylums. Meanwhile competing medical technologies and an oversupply of physicians drastically reduced the income and status of about 110,000 orthodox physicians. An average one earned $750 per year in 1900 and about 40 per year committed suicide because of financial difficulties. But about 15,000 homeopathic physicians prospered and 26 schools of homeopathy flourished at the end of the century. Unsuspecting homeopaths, fully occupied with their lucrative practices, gave grudging support to their own organization not realizing that they were in danger. Orthodox physicians at the American Medical Association (AMA) plotted their downfall. The first objective was reduction in the number of medical schools and medical students. 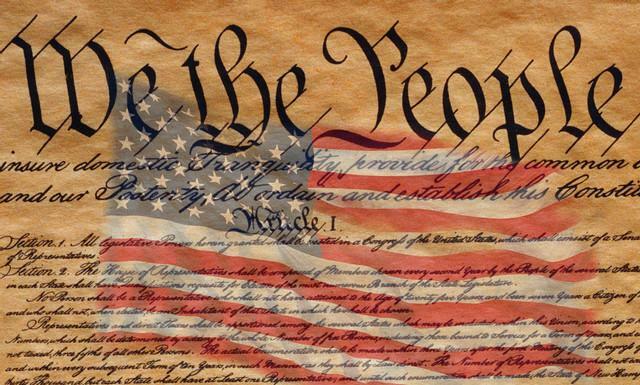 This had been a cherished goal since 1846 when the founding convention of the AMA occurred. Politically astute George Simmons, M.D. who graduated from Hahnemann Medical College of Chicago in 1882 and later attended Rush Medical School, was appointed secretary of the AMA and editor of its journal (JAMA) in 1899. Soon thereafter he was appointed secretary of a committee to consider reorganization. In 1901 a reorganized AMA changed from a loose federation of independent professionals into a political powerhouse. The reorganization substantially reduced the influence of individual physicians who had been objecting to unethical drug company advertising. In 1904 the AMA established a Permanent Council on Medical Education. In 1905 the Council arranged a conference of state medical licensing boards to review the status of medical education and set standards for medical schools. A temporary standard required four years of high school and 4 years of medical school and examination of graduates by state boards before licensing. In 1906, the committee inspected 160 medical schools, grading 82–A, 46–B and 32–C. Fifty schools agreed to require 1 year of college sciences courses for admission. In 1907 Arthur D. Bevan, M.D., the Council’s chairman, convinced Henry Pritchard, former President of MIT, who now headed the Carnegie Foundation, to sponsor a study of medical education. That Foundation, founded in 1905 with the objective of upgrading the status of college teachers and creating a uniform system of higher education, was a logical ally. In November of that year the trustees approved the proposed study and Pritchard hired Abraham Flexner, an educator who had graduated from Johns Hopkins University, to work on the project. Flexner headed for his alma mater’s medical school, which he used as his standard of comparison. Accompanied by Nathan Caldwell, M.D., who replaced Bevan as Chairman of AMA’s Council on Medical Education, Flexner made a comprehensive survey of medical schools in 1910. His opinions of most of the schools he visited and evaluated were not flattering. Harvard University was incensed at his opinion of their medical school which had been reorganized by Charles Elliot in 1870. Flexner was convinced, probably by Dr. Caldwell, that Hahnemann and homeopathy were frauds, since this was the official opinion of the AMA which denied that homeopathy possessed therapeutic efficacy. Flexner also bought the opinion of William Osler, M.D. that “sectarian allopathy and homeopathy” were yielding to the new scientific medicine. Flexner’s famous report, coauthored by Nathan Caldwell, caused substantial changes. It started a process that empowered the AMA, disorganized the homeopaths and forced the closure of homeopathic medical schools. Even though John D. Rockefeller favored homeopathy and repeatedly insisted that it be sup-ported, all of his money was spent on “scientific medicine”. Frederick Gates who was influential in disbursing Rockefeller’s money wrote that Hahnemann was in-sane. John D., Jr. told his father that the homeopaths were integrating with the allopaths. Letter requests for funds from one homeopathic school were said to have been unanswered. Scientific medicine was designed to be capital intensive. Requirements for teaching it increased costs beyond the capability of students to support the schools with tuition and fees. As a result schools, unable to supplement their income from other sources like grants and bequests, were forced to close or consolidate. In 1910 the number of medical schools was reduced from 166 to 131. Only 63 were left in 1929. In the 1930s and 1940s, 11 homeopathic schools closed. After 1930 even the Hahnemann Medical College of Philadelphia was teaching allopathic medicine except for one or two classes of homeopathy. New laws gave the AMA the power to control what the schools taught. Curricula were heavy in the sciences, but there was only minimal training in nutrition and pharmacology. Physicians who used to make up their own remedies began to rely on pharmaceutical company formulations and for information on drugs. Production of physicians was substantially reduced. Competing medical sects, whose members had totaled less than 10% of all physicians, were all but emasculated. Evidently our present unsatisfactory situation came about because the frustrated monopolists of the 1820s found a way to put themselves back in the driver’s seat. They convinced upper and middle class people that they were scientists who could bring the benefits of science to their patients. At least $300 million ($600 million according to Harris Coulter’s The Divided Legacy) contributed by wealthy donors, supplemented by an unknown amount funneled through the JAMA by the pharmaceutical industry and other advertisers, helped them regain control. At a time when one dollar bought a 10-hour day’s work, this was an irresistible flood that carried the orthodox physicians back into power and supported the monopoly for almost a hundred years. The purpose of the new licensing laws was to protect the public but, in fact, monopolized medical care, according to reports, has been killing over 200,000 of us every year and promises to bankrupt the country. These laws are used to prevent free public access to less lethal, more effective and less expensive therapies. As Daniel Haley so eloquently wrote, in Politics in Healing, “we don’t need government protection from things that can’t hurt us”. Medical science should be a search for the truth and many medical scientists have spent their lives in this search. Unfortunately scientific medicine, as practiced by the medical monopoly during the last century, has rejected the discoveries of a number of medical scientists. Too many promising technologies have been consigned to the dust bin of history. As a result, medical services are much more expensive than they should be and lower in quality than they could be. Less suppression and more competition can make people healthier at lower cost. One hundred years of suppression of advancements in medical science is enough. Even physicians have been victimized. Their expensive schools don’t teach them about the suppressed science and give them inadequate training in nutrition and therapeutics. We can do without the high prices and poor care. Let’s recover and apply the suppressed technology and reward, rather than discourage, innovations that promise lower costs and better quality care. Replace the medical monopoly with laws guaranteeing freedom of choice in medical care. Again in 2008, as in the 1830s, orthodox medicine is killing lots of people and creating lots of invalids. The exorbitant price of $2 trillion a year is too much. We owe it to ourselves and our descendants to reintroduce competition into the medical marketplace. Forcing the repeal of the Medical Practices Act will be a good start. The Access to Medical Treatment Act proposed in the 2000 session of Congress might also be resurrected. In some parts of Sweden, namely in counties Skåne, Västra Götaland, Dalarnaand Uppland, there are more children affected by narcolepsy than anywhere else in the country, which has so far flummoxed researchers.